EXTREME EXCITE provides wide range of rainbow and firefly lighting at the party venue. 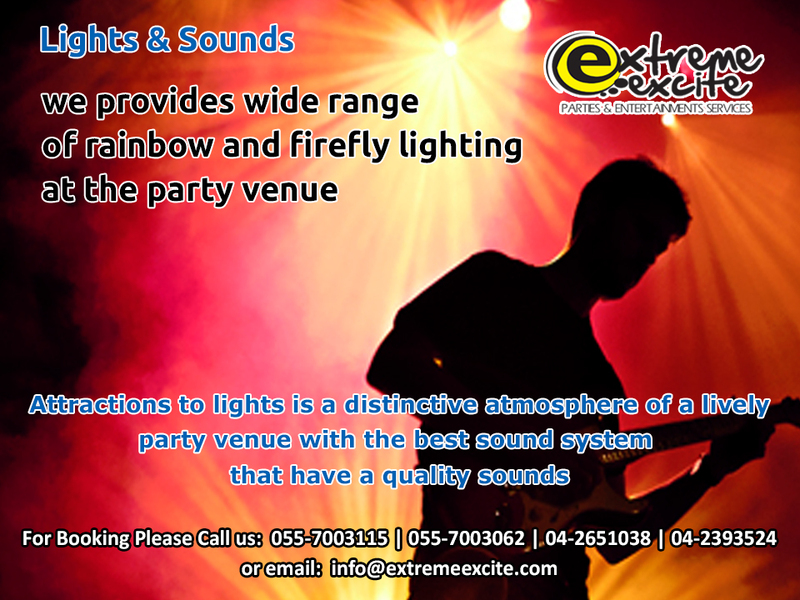 Attractions to lights is a distinctive atmosphere of a lively party venue with the best sound system that have a quality sounds. These together will make your event a wow factor.